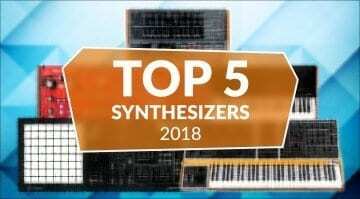 Which hardware synthesizers really took us to new places in 2018? Were there any that really stood out above the crowd for you? But with so much awesome gear out there choosing 5 is a bit of a tall order. 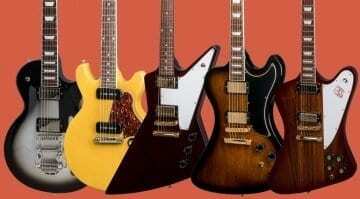 What a year it's been for guitars - so difficult to choose the 5 best! 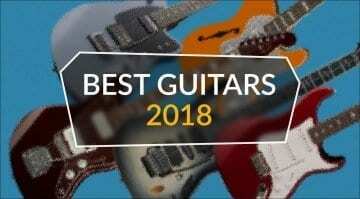 We had a go anyway: here are Jef's Top 5 guitars of 2018, chosen for their unique properties and interesting designs. 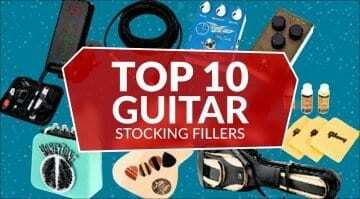 Best Budget Christmas Gifts for Guitarists: Top Ten Guitar Stocking Fillers! It is that time of year, you need a gift for the guitar player in your life and you don't want to spend a fortune, but you do want something they will actually need. 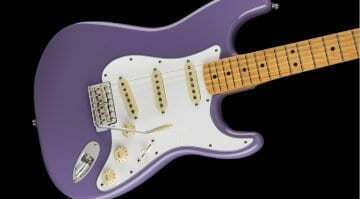 Yet another Fender Jimi Hendrix Stratocaster. Announced at Summer NAMM, this Mexico-built Strat comes in at well under a grand. Are you experienced enough to own one? 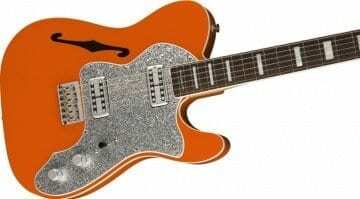 Fender Meteora Offset Telecaster: Madness or genius? 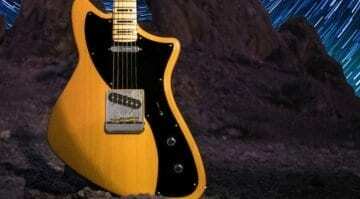 Back in 2011, the first prototype of this quitar was introduced as the Voyager. 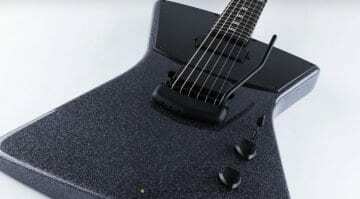 Now it has finally gone into a limited production run as the Meteora and seems sure to divide opinion. 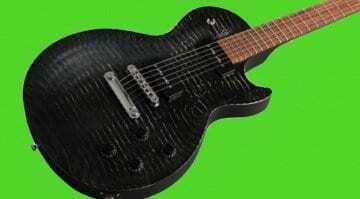 Reverend Guitars 2018 Limited Edition Tricky Gomez: Too Limited? The new Reverend Guitars 2018 Limited Edition Tricky Gomez comes in four stylish new colours. 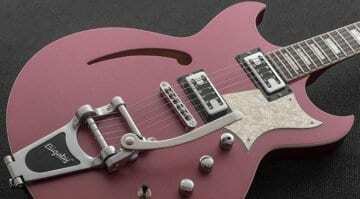 It's just a shame this model is limited to just 10 of each finish worldwide! This has all the right curves, but are they in all the wrong places? 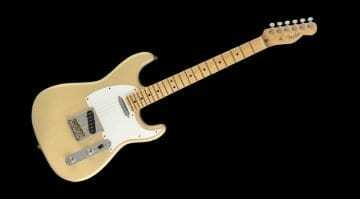 It's the new Fender Parallel Universe 2018 Limited Edition Whiteguard Strat, and it's sure to divide opinions. 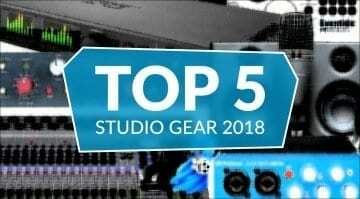 With most of 2018 now behind us, it's time we took a look at the five most impressive pieces of studio gear we came across over the past 8 months. The industry didn't disappoint us at all this year! The latest release in Fender's Parallel Universe Series comes in a hot-rodded orange finish and is loaded with a pair of cool vintage style TV Jones Classic pickups. Fender Player Series: The worst-kept secret of 2018? Fender's new Player Series has just been officially announced! 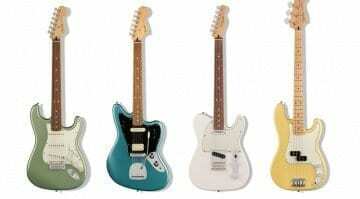 Unfortunately for Fender, we have already seen these guitars leaked last week. But will they be enough to make you want one? The cool new 2018 version of the St Vincent signature comes in Charcoal Sparkle, Blue Dawn, Stealth Black, and Sea Breeze finish, along with two new pickup configurations. 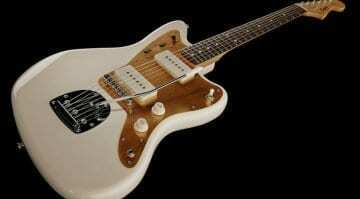 J Mascis of Dinosaur Jr fame has his signature model Fender Squier Jazzmaster updated to meet CITES regulations worldwide, but will it affect it's sound? 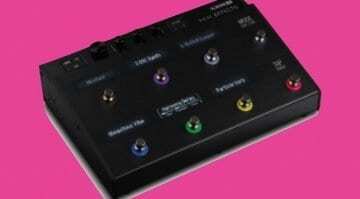 Line 6 could be gearing up to present HX Effects based on the Helix system's effects processor. 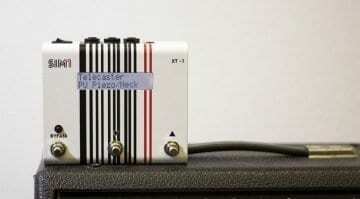 This highly anticipated new product has been setting guitar forums alight for months and now it has been leaked! Can the Sim1 XT-1 really make your guitar sound like any other?